you find that they have a different sentence order. In Chinese, it is much simpler! You just place a question word in place of what you want to ask about. There is no need to rearrange the sentence! There are two examples for each question word. Use the “can-do” list to check if you learned this grammar. ⃞ I can tell the structural difference between English and Chinese question sentences. 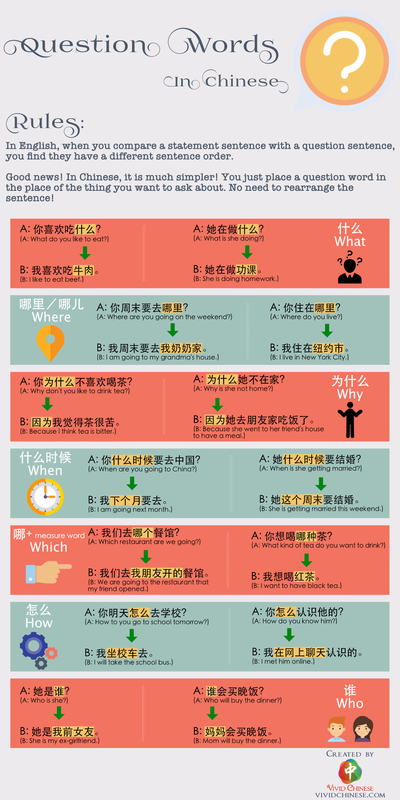 ⃞ I can say “what, where, why, when, which, how and who” in Chinese. 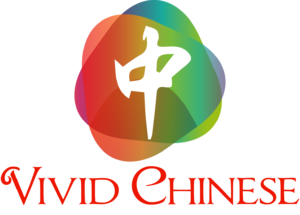 ⃞ I can write “what, where, why, when, which, how and who” in Chinese pinyin/Chinese characters. ⃞ I can recognize “what, where, why, when, which, how and who” when people speak in Chinese. ⃞ I can ask questions with “what, where, why, when, which, how and who” in Chinese. I wonder if the way you used 为什么 Why in a sentence is accurate. My understanding is that subject always goes beofore why. Please clarify, Thank you and I apprecaite your sharing. I really enjoy your work. But I want to point out that weekend in traditional characters should be 週末。 Thanks! Thank you so much for making the infographic better! We will fix that soon!